On a quiet summer night in Iowa, eight people were bludgeoned to death while they slept in their beds. Miss Mary Peckham had a terrible feeling about her next-door neighbors. It was a sunny summer morning in 1912, and yet the Moore family household was eerily still. Every curtain was drawn and all of the doors were locked – strange for a friendly town like Villisca, Iowa. After numerous knocks went unanswered, Miss Peckham finally called a Moore relative for help. Ross Moore arrived soon after, with a spare key in hand. Together, they opened the door to one of the grisliest murder scenes in American history. Every member of the Moore family – Josiah and his wife, Sarah, their four children, Herman, Mary, Arthur, and Paul – had been bludgeoned to death with an axe. Two of Mary’s friends, Ina and Lena Stillinger, who happened to have slept over that night, were also found dead. All eight victims were discovered in their beds. Only Lena showed signs of being awake during the attack. Somehow, the killer had slipped in at night and crept through the halls, systematically slaughtering the Moore family and their guests with axe swings so violent he left gouge marks in the ceiling. 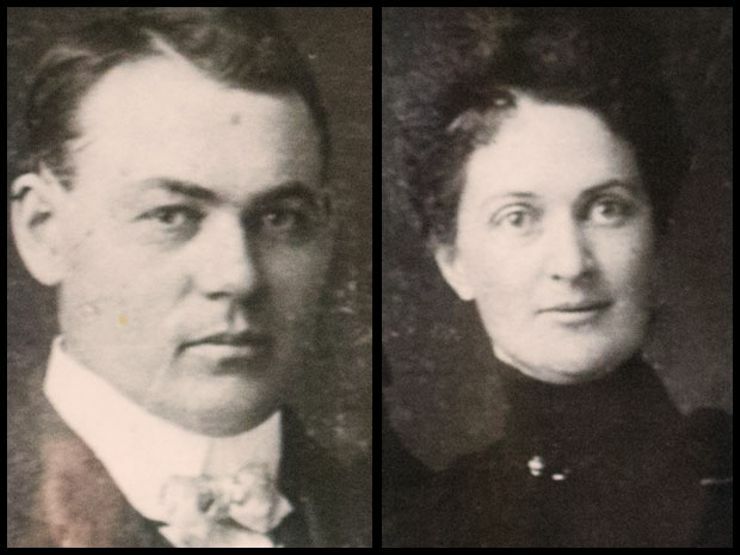 The grisly Villisca Axe Murders of June 10, 1912 shocked the surrounding community – both for its random brutality, and the string of bizarre clues left behind at the scene of the crime. A heavy slab of bacon was discovered in the downstairs guest room, beside a broken key chain and the gory murder weapon. A bowl of bloody water sat beside a plate of uneaten food on the table in the kitchen. Creepier still? After his killing was done, the murderer draped cloths over the crushed faces of his victims. He then maneuvered through the home and ceremoniously covered each mirror and exposed windowpane with linens pulled from dresser drawers. Who could have committed such a heinous act? Theories abounded, yet there was never enough evidence to convict anyone of the crime. Some accused Frank F. Jones, an Iowa State Senator and business rival of Josiah Moore’s, of hiring a contract killer to execute the Moore family. Others pointed to a violent man named Henry Lee Moore (no relation), who had bludgeoned his mother and grandmother with an axe in the months after Villisca and was suspected of additional slayings. Others still pointed to Reverend George Kelly, a traveling minister who actually confessed to the crime in 1917. Kelly was in Villisca at the time of the killings and even posed as an inspector from Scotland Yard to get a closer glimpse of the murder scene. He was also a rumored sexual deviant who struggled with mental health issues his whole life. Soon after signing his confession, the Reverend recanted. He was tried twice for the killings and eventually cleared of all charges. 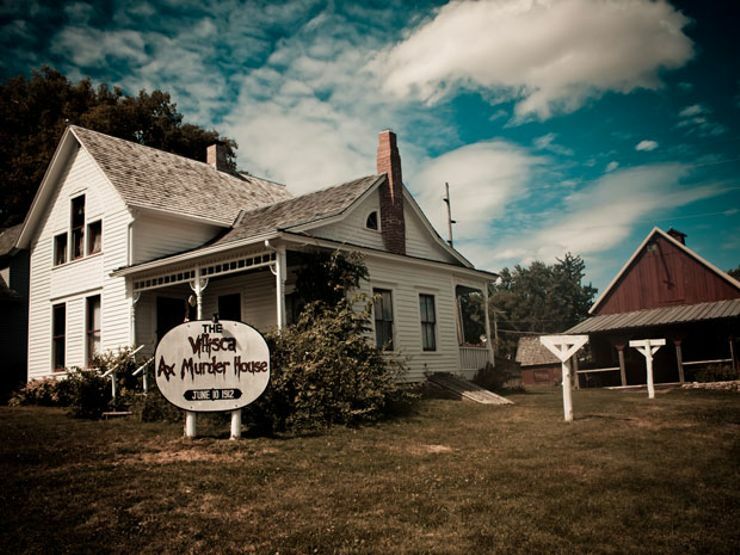 To this day, the Villisca Axe Murder case remains open, enticing amateur sleuths around the globe. The grisly tale also attracts tourists with a taste for macabre. The Moore homestead in Villisca is now a museum. For around $500/night, you can even rent the house for a spooky sleepover. Want to learn more? The incredible sleuths at Stuff You Missed in History Class recently released a revealing podcast about the murder.